Found a bug in our software? Let us fix it! 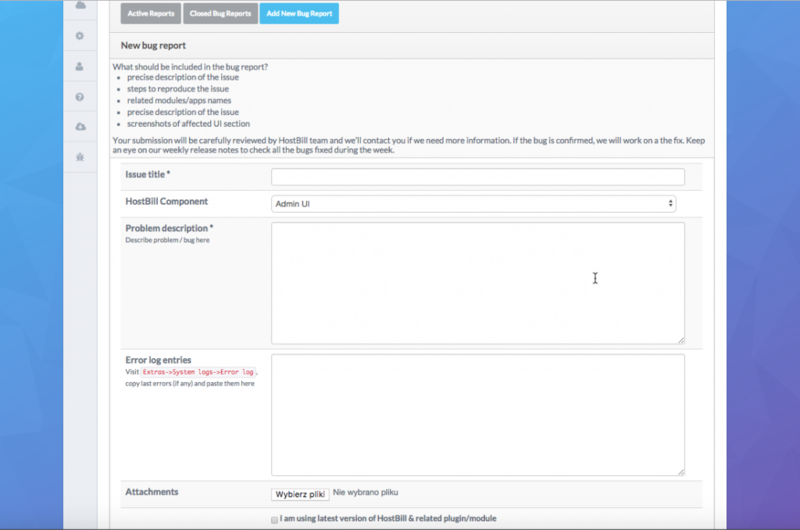 From now on the bug report section is available only to active, logged-in HostBill users. You can access the Bugtracker section from the main menu in our client area dashboard. To file a bug report simply click on the blue Add New Bug Report button and you will be presented with a bug report form. Clear, concise and informative bug reports will help us to work more effectively and to fix the bugs faster. Please make sure that your report includes precise and detailed information along with any screenshots and error log entries that may help us fix the problem. 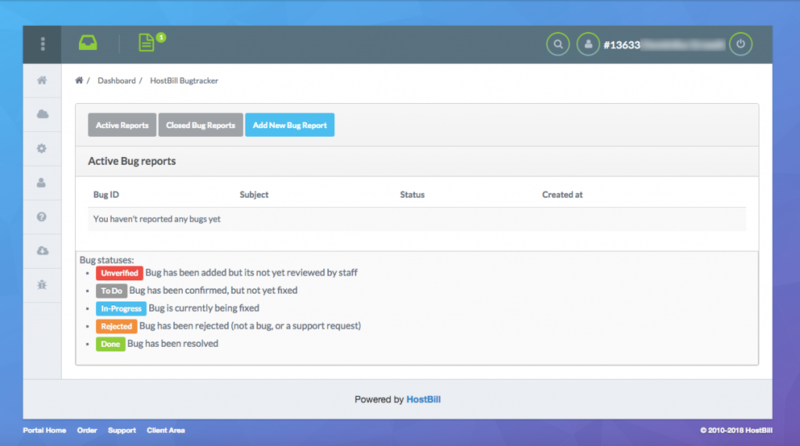 Before submitting a bug report please also ensure you are using the latest version of HostBill. If you’re using an out-of-date version, please upgrade your HostBill to the latest version and see if the issue persists. You can also keep an eye on our weekly release notes to check all the bugs fixed during the week. HostBill modules are available to buy in two versions: Standard and Developer, which also includes the module’s source code. Until now, the developer version was available upon request, where the source was made available through the ticket. Since recently the customers who buy a module developer version can simply download it from our client area. Resell and automatically provision Linodes with new HostBill Linode module!